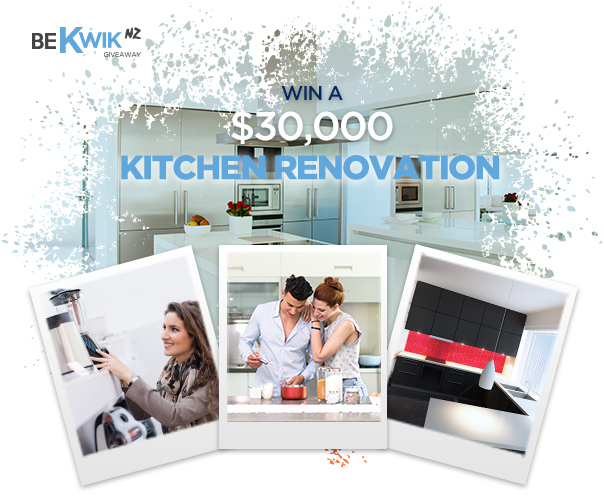 BeKwik NZ is giving you the chance to win an amazing prize! Entry is FREE and you have the chance to win prizes including a $30,000 car, a luxury holiday, or simply $15,000 cash to spend on whatever you like. The choice is yours, don't wait, BeQuick! WIN A BRAND NEW CAR, LUXURY HOLIDAY, $15,000 CASH & MORE! Congratulations Emily, we are delighted that you won and were very proud to give you the keys of your brand new Mazda 2. Watch how this story unfolded. 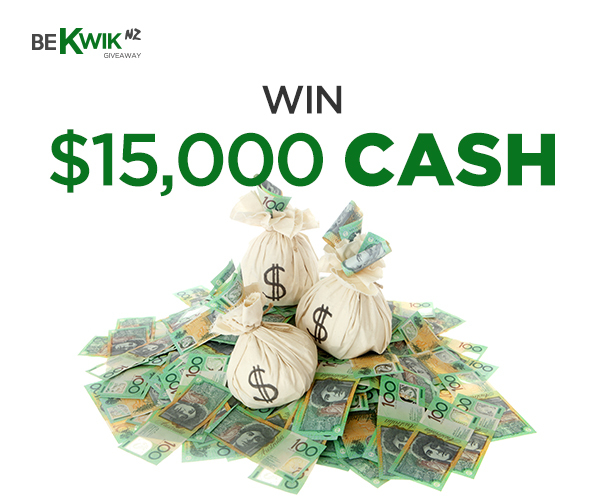 Want to join the list of BeKwik NZ winners and win an amazing prize or cash? Choose Fifteen Thousand Dollars Cash ($15,000) and spend it on whatever you like! Do people really win these competitions? How can I maximise my chance of winning? Cohort Australia Pty Ltd (Cohort Digital) ABN 54 600 161 386 collects and handles your information under the Privacy Act 1988 rules. When you register your details, enter a competition or submit a questionnaire including your preferences (Your Details) you agree to Cohort Digital and its partners, agents or affiliates, including but not limited to Omnilead Pty Ltd ABN 59 166 589 582 (Brands of Choice), Equifax, Survey Sampling International LLC (trading as Opinion World NZ) ABN 16 123 283 830, Kogan Australia Pty Ltd (trading as Kogan & Dicksmith.co.nz) ABN 53 152 570 351 and Haplin Pty Ltd t/a Mutual Wealth Benefits (MWB) ABN 33 105 066 180 using Your Details and supplying them to other organisations (who may be located overseas in a wide range of countries including NZ, US, EU and Philippines), for purposes of: sending you information, offers and promotions about products and services based on your preferences and any prize notification (Offers) by mail, phone/SMS/MMS or email; incorporating Your Details in any information products and information management services to provide to Cohort Digital clients; and administering Your Details including improving and personalising Offers, verifying and assessing your identity, maintaining and updating records. We may also collect information from other sources such as your browser information from cookies and other technology to add to Your Details. When you respond to a question from a named organisation in an Offer you expressly consent to that organisation and its agents or affiliates using Your Details to contact you for Offers. You agree that we can use Your Details for an indefinite period or until you notify us or opt out from receiving Offers. Generally, Cohort Digital is not affiliated with, sponsored by or endorsed by companies from whom we obtain the prizes. We do receive marketing fees from organisations placing Offers in our questionnaires including financial institutions. You should always read their terms and conditions and any product disclosure statement. Cohort Digital ABN 54 600 161 386 is an Australian company aiming to bring you some of the best offers, discounts and competitions on the Internet. All of the offers have been chosen specifically to benefit you by giving you something fun, useful, entertaining or just downright cheaper than usual! All we ask is that you complete a sign-up survey so that we can bring you further offers, either by email, mail or phone, which match your lifestyle. The information you give us in the survey will help us to choose the offers and competitions which most closely match your interests, so the more you can tell us, the more relevant your offers will be. We also run prize draws, many of which are exclusive to Cohort Digital and provided by our clients. Each time you complete a short sponsored question at the website and answer the relevant questions, you'll be entered into the corresponding prize draw. Our clients ask these questions to help them understand what kinds of products and services Australian consumers would like to see. This may be information ranging from what kind of holiday breaks you enjoy right through to whether you've recently bought a new car. By collecting your answers, and those of other Australian consumers, we help clients bring new products onto the market which will match your requirements, or to improve existing products. Cohort Digital is a permission-based marketing organisation, working with major high-street and online brand names to bring you offers, information and competitions. All our clients are reputable companies and any email you receive from us will carry a clear statement of origination (saying it's from us, using the information you provided when you signed up) and the option to unsubscribe from any further emails. Entry is open to any person residing in Australia, New Zealand, the United Kingdom, the European Union, United States of America (excluding New York State & Florida), Canada (excluding the Province of Quebec) and South Africa who is aged 18 years and over, void elsewhere and/or where prohibited by law. Employees of the Promoter, the Promoter's associated companies, the Promoter's agencies associated with this promotion and their immediate families are ineligible to enter. Promotional Period - The promotion commences at 12:01am (AEST) on 15 September 2018 and closes at 8 September 2019. ("Promotional Period"). All eligible entries will be entered into the prize draw. No responsibility will be taken for entries lost, delayed or not completed properly. This competition is in no way sponsored, endorsed or administered by, or associated with, Facebook. Entrants are providing their information to the Promoter and not to Facebook. By entering and participating, entrant agrees to hold harmless, defend and indemnify Facebook from and against any and all claims, demands, liability, damages or causes of action (however named or described), losses, costs or expenses, with respect to or arising out of or related to (i) entrant's participation in the Sweepstake, or (ii) entrant's participation in any Prize related activities, acceptance of a Prize and/or use or misuse of a Prize (including, without limitation, any property loss, damage, personal injury or death caused to any person(s). The draw will take place at 2.00pm AEST on 10 September 2019 at MDSA, Level 2, 40 Yeo Street, Neutral Bay, NSW 2089, in the presence of an independent scrutineer. The winner will be notified in writing (email) within 2 working days of the draw date and their name and locality will be published on win.brandleadersgiveaway.com.au/competitions/winners from 12 September 2019 for a minimum of 28 days. The maximum retail value of each prize is AU$30,000 including GST. Total maximum prizepool value is AU$30,000 (or local currency equivalent). The prize includes the first 12 months registration in the winner's State, Territory or Country of residence; the first 12 months compulsory third party insurance and other on road costs including, stamp duty, dealership charges & statutory charges, dependent upon the State, Territory or Country of the winner's usual residential address. The winner is entitled to select the colour of the vehicle based on the standard range available at the winner's nearest dealership. 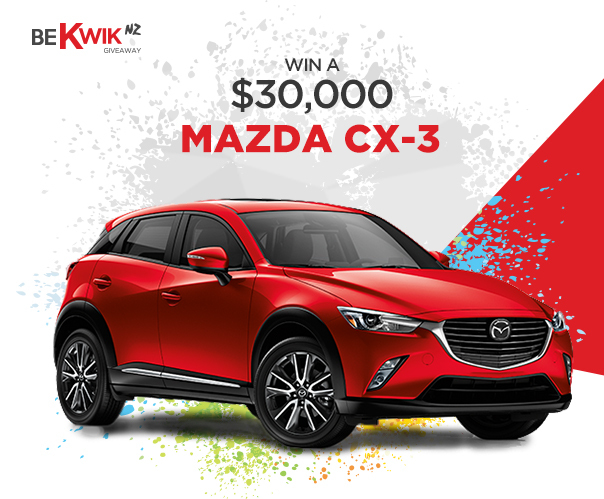 The vehicle will be made available for the winner to collect from the dealership closest to the winner's place of residence as stated in their entry details. All costs associated with travel to and from the dealership is at the winner's own costs. The Promoter accepts no responsibility for any mechanical, body or paint repairs or maintenance f any kind relating to the prize after the date and time of prize collection by the winner. The winner and their chosen guest/s will be responsible for ensuring travel insurance and travel papers, including passports (with more than six months until expiry at the time of travel) and visa and, where necessary, for obtaining appropriate vaccinations and inoculations are in good order and are valid prior or and for the duration of the trip. The Promoter highly recommends that travellers take out adequate travel insurance. The Promoter and the associated agencies, make no representation as to the safety, conditions or other issues that may exist at any destination. It is the sole responsibility of the Prize winner (and their companion/s) to first check with all government travel advisory information regarding the safety and situation of the destination of their chosen destination/event. The Prize winner (and their companion/s) are advised to consult their healthcare professional regarding recommended immunisations and/or health checks prior to travelling and to check for travel warnings and any perceived hazards with appropriate authorities, including www.dfat.gov.au for Australians. For Entrants from the USA: Prize winner (in the case of a minor, the parent/legal guardian (if any) will be confirmed via email and/or phone, and will be required to sign and return, within seven (7) days of notification, an Affidavit of Eligibility, a Liability Waiver, a W-9 Form if required and where allowable, a Publicity Release (collectively, "the Releases"). The Releases will require the winner to furnish his/her Social Security Number for the sole purpose of tax reporting, as required by law. Non compliance will result in disqualification and an alternate winner may be selected. If a winner is otherwise eligible under these Official Rules, but is nevertheless deemed a minor in his or her state of primary residence, the prize will be awarded in the name of winner's parent or legal guardian who will be required to execute, sign, and return the Releases on minor's behalf. The prize will be awarded within approximately 45 days after the winner is verified. Prizes are subject to availability. If any of the prize options are unavailable, for whatever reason, the Promoter reserves the right to substitute any of the prizes for a prize of equal or greater value, subject to state regulation and subsequent approval. The Promoter reserves the right to redraw in the event of an entrant being unable to satisfy these competition conditions, forfeiting or not claiming a prize. If the prize remains unclaimed or forfeited through ineligibility or otherwise, the Promoter will conduct a further draw(s) at the same time and place as the original draw on 12 December 2019, in the presence of an independent scrutineer, and subject to state regulations and the winners will be notified in writing (email) and their name and locality will be published on win.brandleadersgiveaway.com.au/competitions/winners from 16 December 2019 for a minimum of 28 days. The Promoter's decision in relation to any aspects of the competition is final and binding on every person who enters and no correspondence will be entered into. The Prize winner is advised that Tax implications may arise from their prize winning and they should seek independent financial advice prior to the acceptance of the prize. In the case of the intervention of any outside agent or event which naturally changes the result or prevents or hinders its determination, including but not limited to vandalism, power failures, tempests, natural disasters, acts of God, civil unrest, strikes; the Promoter may in its absolute discretion cancel the event and recommence it from the start on the same conditions subject to State Regulation. The Promoter is Cohort Australia Pty Ltd (ABN: 54 600 161 386) of Level 20, 233 Castlereagh Street, NSW Sydney 2000. Authorised under NSW Permit No. LTPS/18/27388, ACT Permit No. T18/01621 & SA Licence No. T18/1485. BeKwik NZ is a consumer brand and lifestyle initiative brought to you by Cohort Digital. 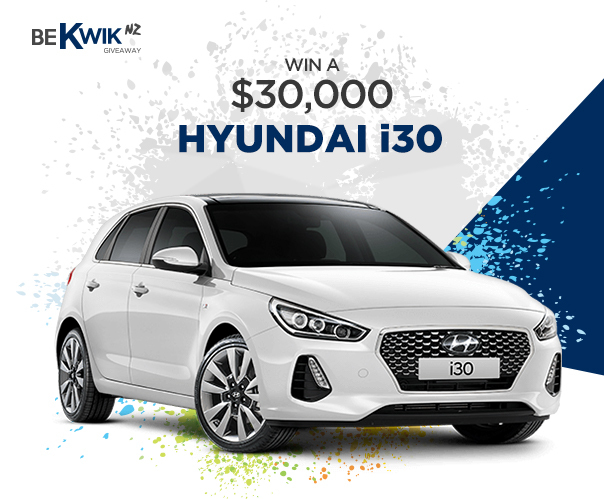 BeKwik NZ gives New Zealand consumers the opportunity to win fantastic car and cash prizes, just for sharing their thoughts, preferences, and general lifestyle activities. Yes, they do! Take a look at our list of previous winners, who all won great prizes by entering one of our online competitions just like this one. The Major prize draw will take place at 2pm AEDT on 19 September 2018 at MDSA, 5/15 Grosvenor Street, Neutral Bay, NSW 2089. 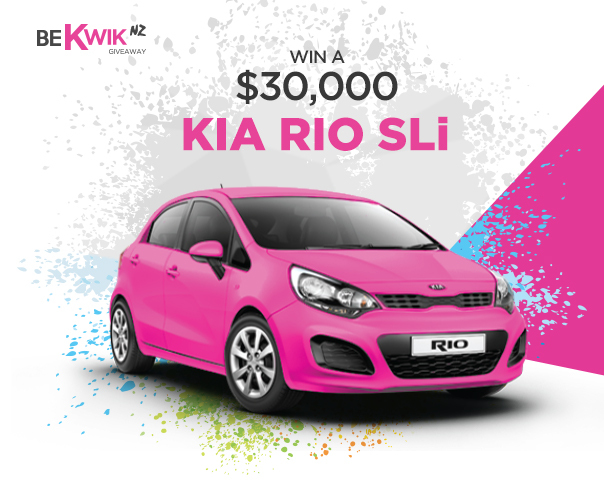 The winner will be notified by phone and in writing (email) within 2 working days of the draw date and their names and localities will be published on http://www.bekwik.co.nz/competitions/winners on 21 September 2018. You can enter into many different competitions. 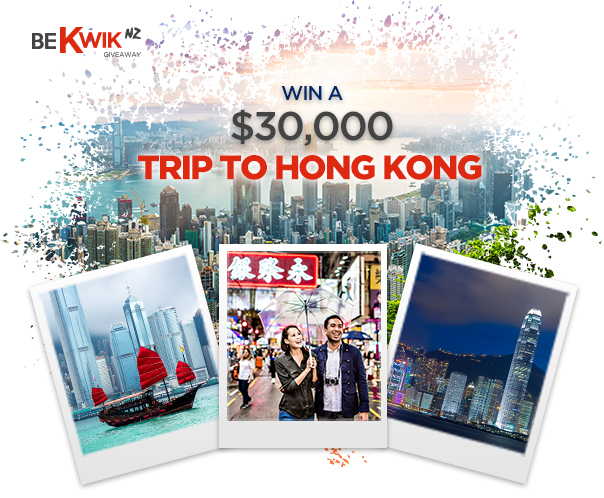 In fact, BeKwik NZ will send you regular invitations to enter new competitions as they become available, so you’ll have an even better chance of winning! 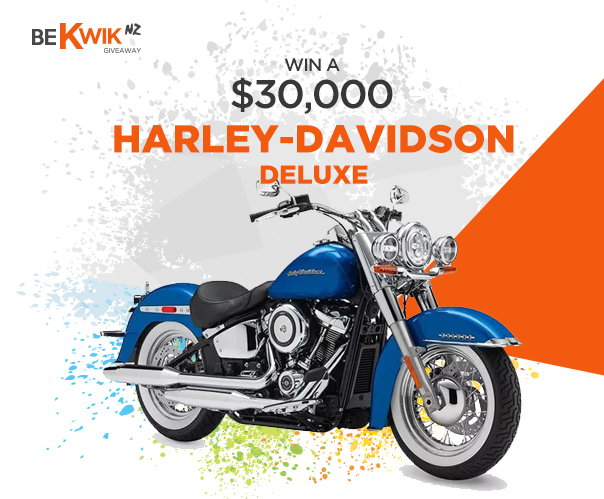 BeKwik NZ offers a huge variety of fantastic prizes and amazing giveaways. 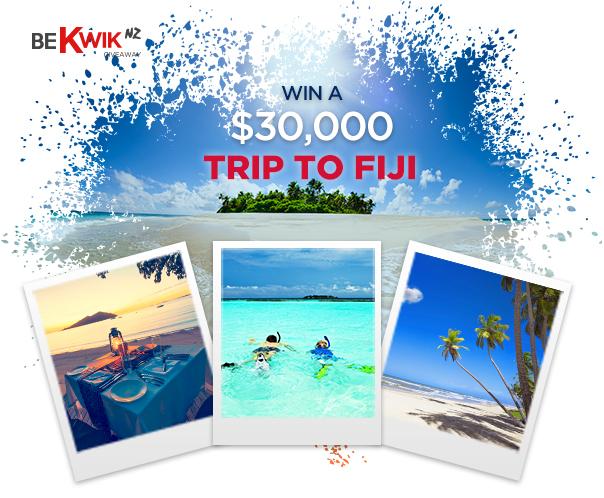 Entrants can easily win prizes valued up to $20,000! Check out the prizes currently on offer below, then choose your prize and enter for your chance to win!